Who: Stefan Raets of the science fiction and fantasy review blog Far Beyond Reality and who also writes excellent reviews for Tor.com. Speaking of Tor.com, Stefan recently joined Renay and Liz Bourke to talk about “Thinking About Reading and Radicalisation” – it is a great piece, well worth a read. Let me start out by saying I’m extremely proud about my first invitation to participate in Smugglivus. Not only have I been a big fan of the Book Smugglers for a while now, but Festivus, the holiday Smugglivus is (sort of) based on, is a big deal here at Casa Raets. And by “big deal” I mean that my wife by now has a vague-ish idea of what “that weird made-up holiday from Seinfeld I always start yammering about around mid-December” is, and my six year old son doesn’t care at all but he’s perfectly happy to celebrate anything as long as Santa still gets to come the day after. For my first contribution to the annual Smugglivus festivities, I’d like to write about a few outstanding short story collections I’ve read this year. In SF and fantasy, we’re blessed with a huge amount of very talented short fiction authors. The increase in online markets in the last decade or so means many more venues for publication are available than before. There is just So Much Good Stuff being published in the short fiction field today. I’m probably an outlier when it comes to how I consume short fiction: to my great shame, I rarely have time to keep up with the magazines, be they online or print. I try to catch at least one of the annual Best-of anthologies every year, but so far that hasn’t worked out in 2013. Instead, what I do regularly read and love is a good, old-fashioned collection of stories by a single author. Reading a single author collection is like listening to an artist’s entire album when you’ve only been hearing individual songs on the radio or on playlists so far. Seen together, the stories amplify and build on each other. The author’s voice has the space to resonate more fully. You learn something about the writer that you maybe wouldn’t get out of just one story in an anthology or magazine. It’s a unique reading experience: short snippets of the author’s craft, sometimes connected by a common theme or genre, sometimes not, always offering multiple chances to watch the writer’s craft. Because many single author collections are published by smaller presses, they often don’t get quite as much attention from reviewers as they deserve. That’s why I decided to highlight a few of my favorites from the past year here for Smugglivus. In an odd and pleasing contrast, Yoon Ha Lee often uses deceptively simple, nature-based imagery to describe these high-tech, far future concepts. There are swanships, mothdrives, and war kites. Each word in the story “Flower, Mercy, Needle, Chain” refers to a different gun. Conservation of Shadows is full of stories that meld math and magic, delivered in an utterly unique, instantly recognizable voice. It’s a challenging but rewarding read, and probably my favorite collection of the year. 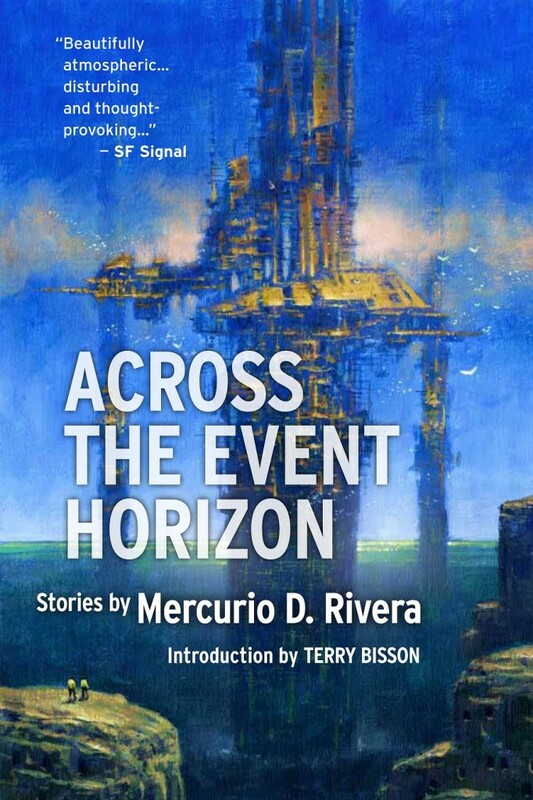 In this outstanding collection, Rivera mixes classic SF techniques and tropes with more modern thoughts and sensibilities. Often, he follows the familiar pattern of introducing one innovation/technology/evolution, then extrapolating an entire future from that starting point. What’s often surprising, even shocking, is the way Rivera adds layers of ambivalence and complexity to what initially often feel like single idea stories. In one story, the romanticism of space exploration quickly turns into a shocking exploration of colonialism. Another, initially jokey-sounding story introduces a technology that allows people to reach through dimensional portals to pick up objects. It starts out fun, until Rivera begins to explore the possible ramifications: ethical, economical, existential. Then, spinning the reader around again, he delivers a second story built on the same idea, written in the form of a number of increasingly bizarre “Dear Abby”-style letters. What I love about Across the Event Horizon is the way it manages to be both accessible and challenging: familiar SF patterns lead into explorations of some truly dark and twisty themes. 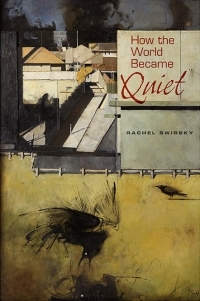 This wonderful volume collects a generous chunk of Rachel Swirsky’s short fiction to date, including stunning stories such as the Nebula Award winning novella “The Lady Who Plucked Red Flowers Beneath the Queen’s Widow” and the stunning novellette “Eros, Philia, Agape” — two stories that deliver such broad narratives and such thematic depth that they really deserve full length reviews of their own. Going back to the idea I mentioned earlier: this is one of those books that really displays the author’s range. From fantasy to SF, from very short short stories to full-length novellas, from humor to poignant explorations of difficult subjects such as sexual violence, How the World Became Quiet is the kind of collection that allows the full range of the author to shine, in a way you’d never get to experience if you just catch a story here and there. And those are just three collections picked from an incredibly strong lineup of new single author sets in 2013. I haven’t even mentioned Five Autobiographies and a Fiction by Lucius Shepard, a book that will be revelatory for fans of the author, or The Ape’s Wife and Other Stories by the incredible Caitlín R. Kiernan, or the lovely new posthumous collection of stories by the great Kage Baker, or the book I’m reading right now: The Bread We Eat In Dreams by Catherynne M. Valente, which may just turn out to be best one of the bunch, based on what I’ve read so far and what I’ve learned to expect from this author. Oh I need to get the Rivera and Swirsky collections. Thank you for the tip! 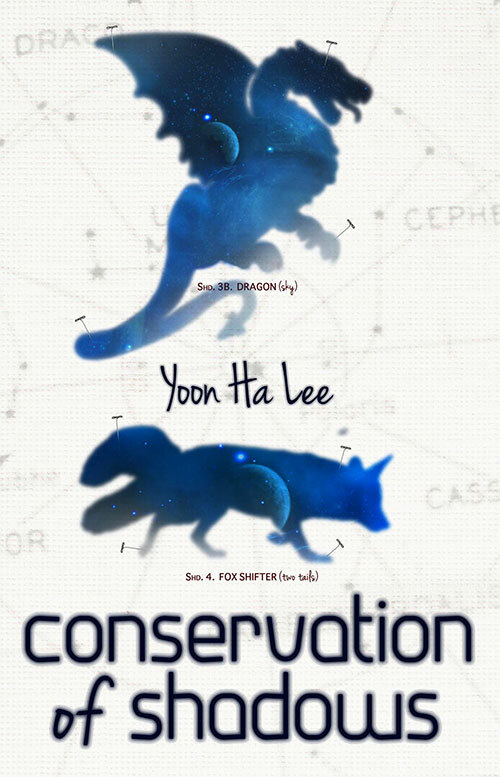 Loved Yoon Ha Lee’s Conservation of Shadows. It feels like I’ve been talking about it all year. But — so good!